Employers can once again get opinion letters from the U.S. Department of Labor’s Wage and Hour Division on issues such as overtime and employee classification, and use them as an affirmative defense if they are challenged legally. The Obama administration had scrapped the long-standing practice in favor of “Administrator’s Interpretations,” which are not as helpful as a defense. The Trump administration reinstated them last year, allowing employers to use older response letters, which are posted online. When the division will begin answering new letters is unknown, according to Kate Tornone at HR Dive. “And once (the division) does start answering letters, it’s not yet clear how many it will be able to tackle. Some previous administrations were prolific; others were criticized for issuing what some felt were too few letters…” Tornone writes. The MAC puts NJBIA’s diverse services to work for our members at no extra cost. Find out how to use our extensive government contacts, legal, municipal and business assistance. She also reported the division has reinstated previous letters that had been issued under President George W. Bush’s term but withdrawn under President Barack Obama. 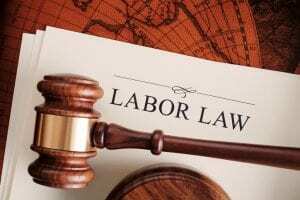 Tornone reports those letters are available on DOL’s website and numbered FLSA2018-1 through FLSA2018-17. Tammy McCutchen, a former WHD administrator, said anyone can request an opinion letter, including employees and unions, as long as they’re not submitting a question that is related to an ongoing investigation or claim.